Anthony and Barry Award-winning author Bryan Gruley returns with the third novel in his critically acclaimed Starvation Lake mystery series. Does Gus Carpenter really want to know what’s inside the skeleton box? In Anthony– and Barry Award–winning author Bryan Gruley’s gripping new novel, Gus must decide if the truth is better off dead and buried. Mysterious break-ins are plaguing the small town of Starvation Lake. While elderly residents enjoy their weekly bingo night at St. Valentine’s Catholic Church, someone is slipping into their homes to rifle through financial and personal files. Oddly, the intruder takes nothing—yet the “Bingo Night Burglaries” leave the entire town uneasy. Worry turns into panic when a break-in escalates to murder. Suddenly, Gus Carpenter, editor of the Pine County Pilot, is forced to investigate the most difficult story of his life. Not only is the victim his ex-girlfriend Darlene’s mother, but her body was found in the home of Bea Carpenter—Gus’s own mother. Suffering from worsening dementia and under the influence of sleeping pills, Bea remembers little of the break-in. With the help of Luke Whistler, a former Detroit Free Press reporter who came north looking for slower days and some old-fashioned newspaper work, Gus sets out to uncover the truth behind the murder. 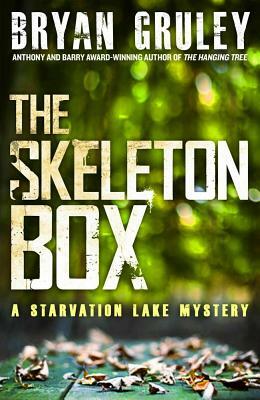 But when the story leads him to a lockbox his mother has kept secret for years, Gus doesn’t realize that its contents could forever change his perception of Starvation Lake, his own family, and the value of the truth.